With the stam sink global event and gold sink double composing xp event being held periodically, they will offset the gold gain from hunting more often than not. And you will need to take part in event that sinks your stam and gold to earn rewards to get into effective hunting. Depending on the prize majority of players(myself included) spend 2000-3000 stamina just to qualify for global events, so not much stamina being burned. Lots of my gold was earned from hunts and that goes towards composing. I have reached Max level long ago and so has many other players. Hardly any sink for composing now or little. If you want more stamina gain then level up and get those epic gears. Atm we have epics at +7/hour next year +8 and after that +9. The increase is already happening but you just failed to see it. I'm thinking you assume everybody is like you, at the top of the game in a guild with more that live up in the cloud range. I, for example, am basically the same game age as you are. I'm nowhere EoC at levels or composing. Granted, I took the scenic route to where I am, and RL took me away from the game for a bit. But I do level regularly, with my little 16K max stam, and it takes 8 days for my stam to fill. I own all my Epics, a rag tag selection that I mostly got as gifts from friends. As I abhor Titan Hunting, I'm not likely to ever get one of the new Epics, since I don't spend Real Life money on this game anymore. I know my guild would supply me with better Epics if I asked, but I consider that to be freeloading and it's just not my style. I rarely use guild gear at all, and then only for items that are so rare I can't find them, or that are so expensive I can't afford them, and then only for hunting purposes. My average hunt with ordinary pots and buffs nets me 10 levels. If there's a GE or something, this takes away from my stam to level, which delays my trip to where you are further. I'm not complaining here, just trying to illustrate that the average player isn't at EoC of anything, and won't necessarily have the advantages that you do. This topic isn't about gaining levels for Epics, or to reach those new relics with more stam gain. Most guilds don't even have players that can do either yet, and even if they did, those are inevitably held by more aggressive guilds that won't allow them to be held long even if they can be taken. It's about raising the base stam gain so that some of us can catch up to some of you. Sorry Alisa, this game isn't just about the power levelers that rushed to the end of content only to be bored while waiting for something new. It's for the other 75% of the player base that either just got here or that put emphasis on other things whether by choice or by fate. Edited by BadPenny, 03 April 2019 - 07:32.
as far as cost goes, some of the epics (+2 gain) work out cheaper than a +1 stam gain upgrade, not healthy for titan hunters but for newer players where it is hard to make fsp there are cheap options for upping their stam gain. I think it is fine as it is, whilst the cap hasn't been raised from 25 the amount of epics released since then makes up for it for those with big stam banks. I don't think the rest of the game has much difficulty catching up if they are focused on doing that, pots are a lot more powerful&plentiful- quicker levelling, epics are cheaper - fast regeneration time, content is released slower - easier to catch up. Edited by activeh1, 09 April 2019 - 10:34. Guild has nothing to do with how you use your stamina, that's up to you. You say is not about hunting/levelling but you want a chance to reach EOC quicker. My guild doesn't control my stamina and how it's used, I do. It's not my problem that others have small amount of stamina, I just don't care. Edited by Alisa, 03 April 2019 - 23:28. Without new blood that's encouraged to stick around, there is no economy to protect. I really don't care so much for myself, I can keep going forward at my own pace as I please. But I do care about the quality of the game for others. We have new players coming into the game every day. And sure, they can buy new and improved epics, and all that, but when you get to the end of those, what's next? But consider this: In the 12 years I've played, FS has totally evolved. In 2007, there were no epics, or potions for that matter, EoC was less than 200 and it took months to get to 100. Now, a new player will get there in the first week with very little effort if they do the epic quests with potions that can be bought in the AH along with composed potions if they manage to get into a good guild. The average new player more than likely plays other games, fast paced with activities that are repeated daily because most of them are all about your Combat Power (or whatever they call it) I play many of these games, and those that use a stamina type system also have a limit to the number of times you can do each activity. Here, the more max stam you have the more successful you are. But playing the actual game once a week or month dependent on that max stam can get stale. Now this is just my opinion and I'm just a crazy old lady that loves this game above all others. But I do try to look at things from all sides. IDK if raising the base gains would make or break FS, but I don't believe it would if done in moderation. 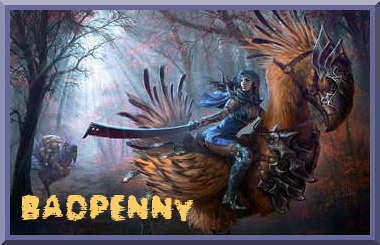 Edited by BadPenny, 04 April 2019 - 03:00. The only thing I can see it doing is people increasing their stam banks more to accomodate the increased gains, that's just how this game works, even for the newer players they are encouraged to increase max stam so as not to overflow and waste, in other similar games I play it is very hard/expensive to upgrade your stam/energy, in some cases it's fixed which makes you keep coming back every day or every few hours to use it, FS is not one of those games since max stam is cheap to buy and has no limits , whether that is good for the game or not is anyone's opinion, there'd certainly be more activity if everyone had less stam and logged in daily in order to use it but this is a pretty laid back game where everyone can play at their own pace and time (hence upgrading their stam) rather than having to be here everyday to not overflow. If you pvp a lot, you can easily use up your daily stam gain just in buffing up for a ladder and a few 100 stam hits, in that case it would be nice to have higher base gains since you don't sit in epics, the rest of the game would just sit in epics and upgrade their max stam more rather than use it. going off topic but unlimited stam affects many of areas of the game maybe not positively, top100 in many events is off limits to most people since they can't match the stam banks of some, anything can be farmed to death because of large stam banks, on the flip side the main attraction of large stam is efficient levelling which ultimately leads to sitting at EOC and having a lot of stam to do nothing with for MOST players who only level and quest. Edited by Filletminion, 06 April 2019 - 09:20. Stam gain increase would actually help those below EOC. Current EOC have no problem staying EOC with sparse content releases. While people not at EOC can capitalize on more stam per day. Agreed. Personally I would love to see the cap raised. Not massively. From 25 upgrades to 50 maybe? Good FSP sink to. Drives donations. Could be a smart move for admins and players. I am sure hoof could be convinced. Edited by Josh1404, 13 April 2019 - 14:21. I am late to the party, and haven't been part of previous discussions, but was there an actual reason as to why the stam gain won't be increased? I agree with piety, if they increased the cap I would also be incentivised to increase my max stamina limit - dumping even more fsp into the game. In the long ago if I recall correctly the word from the cows was that we're not supposed to be playing games 24/7, and to do something productive while stam builds, such as do real life.